发布时间 24日 十月 2011 通过 乔恩·斯卡夫 & 下一篇： 媒体PC硬件. 最近更新时间 25日 十月 2011 . 在很长一段时间，我一直在寻找理想 HTPC 远程控制。我想一个相当标准的远程, 但对后面一个QWERTY键板, 或者倒装内/滑出一部分。我一直在跟踪选项 从一月至2010的文章, 并最终下令自己一个Boxee的远程几个月前。 Boxee的是一种优秀的无线键盘, 但遗憾的是, Boxee的都选择走“苹果路线” (又名简单化) 在非QWERTY侧。共有都是 7 按钮, non of which is a power but­ton. There is also no “back up” type but­ton. This makes the boxee pretty use­less for Media Cen­ter 7. 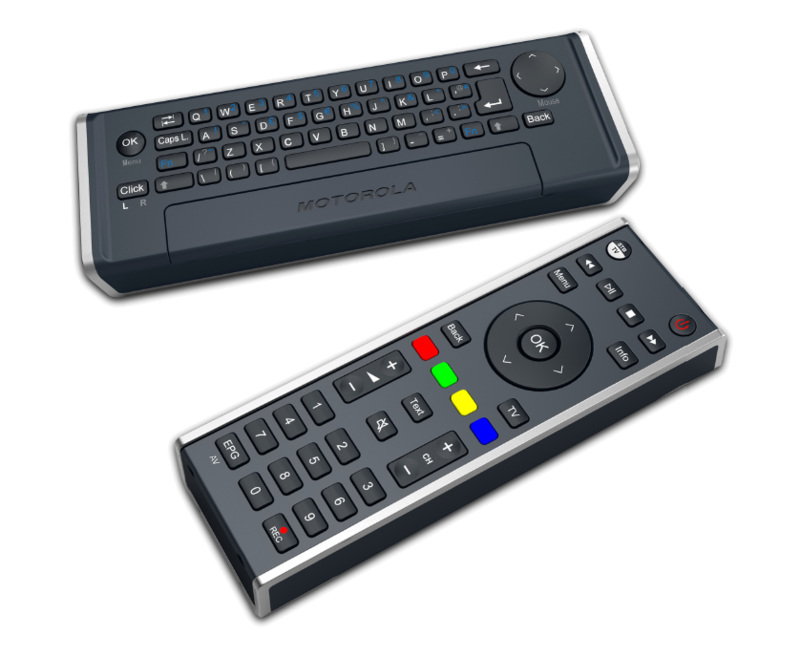 I decided that if I was going to get yet anoth­er remote, I wanted it to offer addi­tion­al fea­tures, as well as address­ing the prob­lems with the boxee. The 2 most use­ful options are to be pro­gram­mable (即. uni­ver­sal) and to fea­ture an RF com­muni­ation to the PC, so it can be tucked away out of sight. The remote I was most inter­ested in is the Philips Home Con­trol Dual / uWand, but I can’t find any­where to buy that in the 联合王国. I’ve seen some pos­it­ive reviews of the Motorola nyx­Board and loc­ated a retail­er that ships to the 联合王国. £40 isn’t cheap for a remote con­trol, but the nyx­Board does offer both RF and uni­ver­sal­ity, as well as clearly hav­ing the required but­tons. I’ve ordered one, and am optim­ist­ic it will do the job. Its just a shame its a bit chunky, one of the nice things about the boxee remote is how slim and slick look­ing it is.